Recent review: Great communication, punctuality, and performance. Highly recommended. Tubas, trumpets, and trombones - oh my! 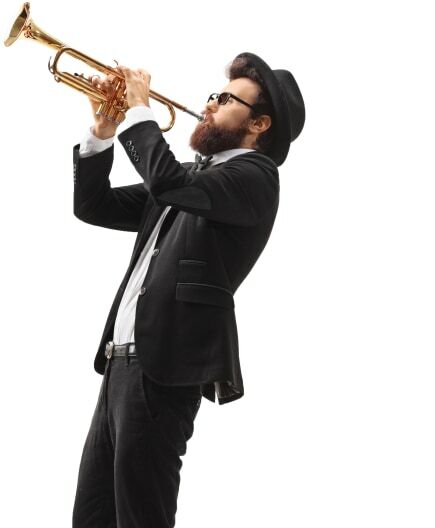 Want to bring some bold brass notes to your festival, parade, or corporate event? Then these brass bands are for you! Brass bands are the perfect entertainment for entertaining guests at a 4th of July celebration. You'll hear their notes resonating out of a club in New Orleans, whether in the French Quarter or marching along a parade route. No matter the event or the size of band you need, GigSalad has plenty of options. Book one of these great brass bands for your event today! Search for Brass Bands in Azusa, California above. Please note that these Brass Bands may also travel to Charter Oak, Irwindale, Duarte, Bradbury, San Dimas, La Verne, Walnut, City Of Industry, Avocado Heights, Temple City, Sierra Madre, South El Monte, Rowland Heights, Claremont, La Habra Heights, Mount Wilson, San Marino, Montclair, Altadena, South Pasadena, Valyermo, Santa Fe Springs, Commerce, La Canada Flintridge, Atwood, Guasti, Maywood, Mount Baldy, Vernon, and Montrose.